Spring is thankfully right around the corner! 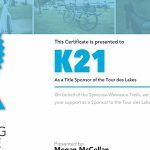 So, if you are looking for a way to get out and help the community look no further because Tour Des Lakes and the Syrcause Wawasee Trail’s community is looking for community-minded, energetic volunteers. Webster defines Volunteerism as the use of involvement of volunteer labor, especially in community services. Every community service can use extra help and Tour Des Lakes and Syracuse Wawasee Trails is no exception. As the organization grows and expands, so does the need for help. We are always looking for helpers to work at the setting up the event, helping the ride run smoothly, cleaning up our trails, and serving on the board. It doesn’t take a lot of time, but it does take commitment. We are now excepting volunteers for the ride and the trails. 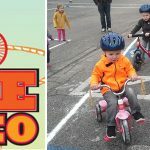 Go to our Volunteer page to sign up with Tour Des Lakes. Give Megan McClellan a phone call on her cell at 513-835-5631 or e-mail her at [email protected] to get involved with the trails! When will the web site be updated with the 2016 dates?